E-commerce stores receive and process many product returns compared to brick-and-mortar businesses. This does not reflect the quality of the products but more on the “hit and miss” nature of online shopping. Shopping online removes the ability of a shopper to physical see, feel, hear or taste the product before they click the Buy Button. This can lead to some misconceptions and misunderstandings on product details. Which in turn will lead shoppers requesting for a return, item change or refund on items which they bought. The reasons for requesting a return can be valid or invalid. This has been a problem by retailers long before Amazon sold its first book. This article will summarize some of the most common reasons why a customer returns an item bought from Amazon and how sellers can avoid them. 2 When a Buyer Can Initiate an Amazon Return? 3 How to Avoid Getting Amazon Return Requests? 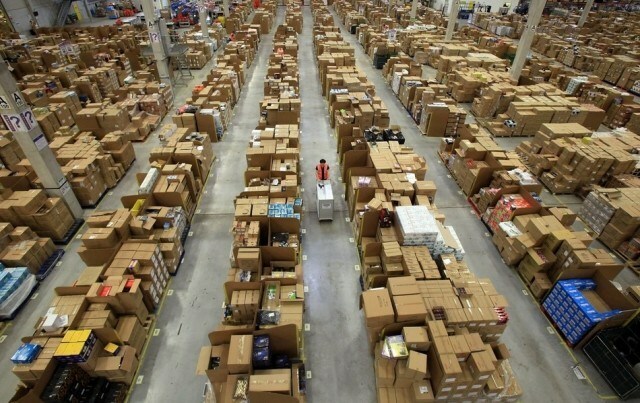 4 What about Amazon’s Third Party Return Policy? Below are some of the most common reasons why buyers opt to return items bought from Amazon. There are more and some are downright irrational and try to take advantage of the Amazon seller return policy, so we will just focus on these 4 most common reasons. Buying the wrong item is very common in e-commerce because the shopper will only rely on the product descriptions, images and possibly videos. This can be challenging especially when buying clothes since you can’t physically fit or try it on. An Amazon Prime shopper can be hasty when shopping knowing they have free rush delivery on even the simplest of items. It’s too small, it’s too big, the color is different from the product image, and it doesn’t do what it’s supposed to do are just some of the reasons for buyers returning an item. A seller can only control so much to guide the purchasing decision of a shopper and sometimes a customer just simply made a mistake. Unlike the previous reason where a shopper has partial responsibility this error is solely the seller’s or merchant’s fault. The ordering front is all digital but the back end process still requires manual intervention. A misread order form, packaging errors and accidentally switching item numbers are some of the human errors that can cause the delivery of wrong items. The customer will of course demand a return or refund. But, did you know that according to the Federal Trade Commission (FTC), it’s illegal to send items that a customer did not order. This also applies if the customer actually orders something from you but you delivered the wrong item. The FTC states that a customer has the legal right to keep any merchandise delivered that they never ordered. READ How to Report Amazon Fake Reviews? Shipping and delivery services can be unreliable at times. An ordered item can be damaged during delivery even if you packaged it with the best bubble wrap available. But if the items are defective upon shipping then this is possibly an issue with the seller’s inventory. Products could be damaged at the warehouse or worse – are actually that bad. There are times that a customer can mishandle the product causing it to malfunction. 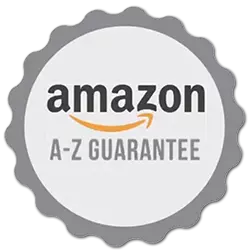 Unfortunately, without proof or a customer confession, this is still covered by Amazon’s A to Z guarantee and is subject for a return policy. A fraudulent practice that has become so popular that it is now an accepted term. This is when a customer will pay for an item that they only intend to use for a short time then return it to get a full refund. For example, a guest at a big wedding will order a dress, wear it during the wedding then return it the day after. “Wardrobers” will even wear clothes with the tags attached so they can legally send it back afterward. It may seem legal, but it is a type of fraud and can even be considered as a form of shoplifting. This also applies to non-wardrobe items. For example, someone buys a large 60-inch HDTV then returns it after his or her Superbowl or World Cup party with your HDTV being the perfect “rental” to impress friends and family. When a Buyer Can Initiate an Amazon Return? A buyer can use the return label to send back items for free since the delivery cost is already paid by Amazon. However, the buyer should return the items following Amazon’s guidelines on exchanges and returns. They should also return product(s) within 30 days after receipt to avoid being charged for both the original and exchange items. The buyer will then get a full refund if the item is damaged, defective, or was delivered an incorrect item. When returning items bought from sellers not under the FBA program, a buyer access the Online Return Center and print out a prepaid return shipping label. This falls under the changes made by Amazon which states that items fulfilled by 3rd party sellers now also fall under Amazon’s strict returns policy. How to Avoid Getting Amazon Return Requests? How does Amazon handle returns? In today’s landscape, Amazon will always look to side with the buyers. However, to avoid the returns, here are some seller tips which you can try right now. Since there is no physical contact before an online purchase, shoppers rely heavily on detailed product descriptions. All details, everything, must be placed on the product information so shoppers can fully understand and visualize the product. All common customer queries should be addressed with FAQs, add videos and use clear high-resolution photos from all possible angles. READ How to Report a Seller on Amazon? Verify also if your product matches the correct Amazon Standard Identification Number or ASIN. This is a unique 10-character alphanumeric identifier used by Amazon to organize products, goods, and services. This is caused by an error in the backend process and should be minimized, if not eliminated. If this happens rarely, it can be due to some unfortunate mishaps or lapses. But if it is a common occurrence, then you should review your fulfillment process. Even a few errors like this can trigger the suspension of your seller account. The seller return policy on Amazon is skewed towards customer happiness and you should take care not to cause them distress. Have someone check all shipments and order fulfilments. These should be cross-checked with invoices, delivery tags, and packaging details before being released. This can be a lot of work especially during the holidays but should be done to improve your shipment process. Another way to prevent return requests is to contact the buyer and offer to send the actual items for free while keeping the wrongly delivered item as a gift. This is a revenue loss but you dodge a return request which can lower your seller score. Plus, you stand to gain a very happy customer who should order again because of the great customer experience you provided. 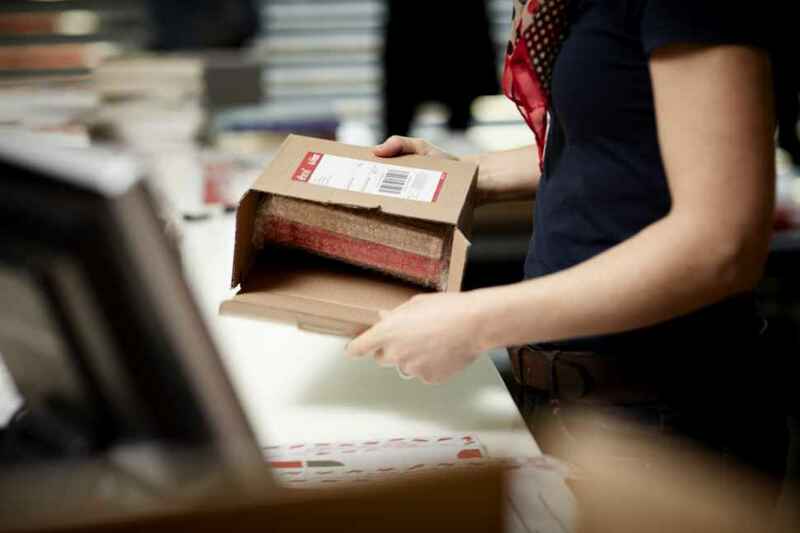 If you get a lot of returns due to broken or damaged items, it might be time to review your packaging process. Are you taking the necessary steps to protect the items? It is actually better to be over-protective than rely on the gentle handling of your logistics company. Use sturdy corrugated boxes, double shrink wraps with bubble wraps, then fill the spaces with newspapers or with packing peanuts. For defective items, this is an in-house problem and should be addressed immediately. Check also if your warehouse or storage facility has the proper level of moisture or temperature for your items. Sometimes a single “lemon” item can be just a 1 in a million defect that just squeezed through quality control. But sometimes it can be a sign that the entire batch is faulty. Better to “open” a few of your products to assure quality than risk having your seller account suspended. Amazon seller returns that are actually “wardrobing” are very difficult to prevent because some customers are really good at it. These so-called experts know the limits of the rules that they can bend in order to successfully “rent” your products. You should implement strategies to protect your business from these unscrupulous customers. You can try some simple hacks like placing tags in front of a dress to make it difficult to conceal. Place a thin layer of sticker with watermarks on TV screens to make it difficult to watch without removing it. Some sellers ask for photographs as additional reference to support return claims. As such, people may react negatively to your efforts. In fact, this will even impact shoppers with legitimate return claims. If you think you have a “wardrobing” incident on your hand, you can ask for professional help on how to deal with the situation. READ How to Claim Warranty on a Product Purchased from Amazon? What about Amazon’s Third Party Return Policy? Amazon return policy for sellers was updated last October 2, 2017, and it affected merchants that are not using the Fulfilled by Amazon (FBA) program. These are third party sellers who fulfill customer orders by themselves, normally these are small sellers who operate their business from home or from a small shop. These small players will be subject to the same rules as items shipped by Amazon and retailers under FBA and covered by Amazon third party return policy. Amazon made these changes in an effort to provide the same quality of service to all their customers. Amazon treats every customer that use their platform as their own regardless of who is selling. In essence, the Amazon seller account return policy assures that the customers will get the same level of customer experience. This means a customer who plans to return an item can now do so without even contacting the 3rd party seller. The seller won’t have the opportunity to fix the problem. Once the return claim is processed by Amazon, the seller must issue refunds to buyers within 2 business days upon receiving the returned items. If not, Amazon will send the refund themselves and then charge the amount to the seller’s account. This new policy would seem beneficial to dishonest buyers like “wardrobers” but Amazon’s battle cry has always been delighting their customers. From the point of view of shoppers, this is a step in the right direction. In any business, getting paying customers is the end goal. You need to understand their needs and part of this is understanding the reasons why customers return their purchases. But in this world, there will always be people who will look for ways to take advantage of your business. Fraudulent returns have been a problem for brick and mortar retailers and it is an even bigger problem for e-commerce retailers. Amazon has been doing their share to negate this practice and has banned shoppers that frequently return items. They do this by using an algorithm that pinpoints buyers with an uncommonly large number of returns. These returns, even those from problem buyers, not only affect your bottom line. They have a deeper effect on your business by bringing down your seller metrics. Each returned item can impact your Return Dissatisfaction Rate (RDR) and Order Defect Rate (ODR). This will unjustifiably cause a suspension of your seller account. Being Amazon law experts at AMZ-Expert we have read and analyzed numerous case studies of sellers. 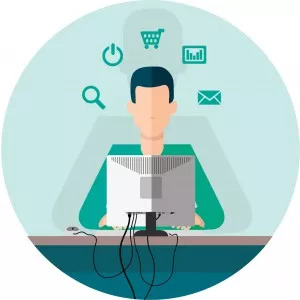 Together with our dedication to learning every aspect of Amazon’s rules and regulations, we have compiled an amazing 99.9% success rate on appealing and reinstating suspended Amazon seller accounts. Contact us today if you need help with the issues regarding described above! How to Claim Warranty on a Product Purchased from Amazon? Why Amazon Cancelled Your Order?